Global transportation and logistics leader UPS today announced it has been named as the Official Logistics and Express Sponsor of The European Tour. The four-year global partnership with The European Tour will see UPS sponsor six events each year across Europe and Asia, including The European Tour’s flagship event, the BMW PGA Championship, held at Wentworth Club in May 2009. In addition, UPS will provide critical transportation and logistical support for The Tour, which oversees an International Schedule of 53 tournaments spanning more than two dozen countries on five continents. UPS launched its association with The European Tour last week at the 2008 UBS Hong Kong Open at the Hong Kong Golf Club, which was won yesterday by Lin Wen-tang of Chinese Taipei after a thrilling play-off with Rory McIlroy of Northern Ireland and Italy’s Francesco Molinari. 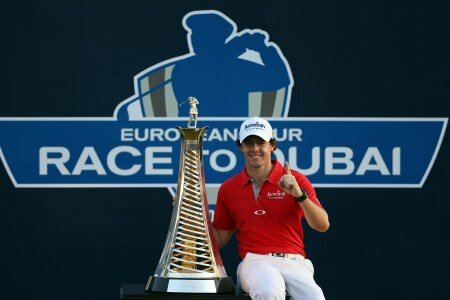 The British Masters supported by Sky Sports will return to The European Tour International Schedule for the first time in seven years in 2015, with a quartet of Britain’s leading golfers rotating as the tournament host over the next four seasons, writes the European Tour. Shane Lowry, who achieved instant hero status by winning The 3 Irish Open as an amateur, has been named as The Race to Dubai European Tour Golfer of the Month for May.